The Middle East and North Africa (MENA) region has been facing considerable economic challenges. Left behind by the industrial revolution, overly dependant on oil resources, and on the fringes of the globalization process, a number of MENA countries have embarked on structural reforms to overcome economic stagnation, mounting unemployment, and increasing poverty. At the same time, there is growing awareness worldwide that the knowledge revolution offers new opportunities for growth resulting from the availability of information and communication technologies and from the advent of a new form of global economic development rooted in the concept of the knowledge economy, which is based on the creation, acquisition, distribution, and use of knowledge. 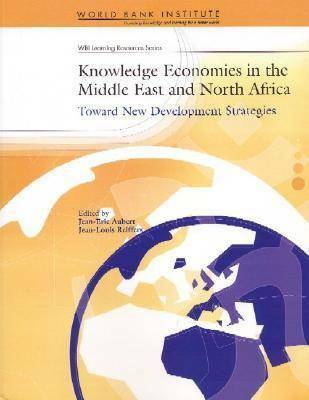 This book, developed from papers prepared for a World Bank sponsored conference, assesses the challenges confronting the region's countries and analyzes their readiness for the knowledge economy based on a set of indicators. It provides quantitative analysis to help benchmark the countries against worldwide knowledge economy trends, identifies key implementation issues, and presents relevant policy experiences. The basic policy elements that underpin a strategy to prepare for a knowledge-based economy are discussed, including: the renovation of education systems, the creation of a climate conducive to innovation, and the development of an efficient telecommunications infrastructure as the foundation of a new era.. The formulation of national visions and strategies is also discussed. Examples from the region and other parts of the world illustrate the various chapters. A set of data that makes it possible to benchmark and position countries' readiness for the knowledge economy is presented in an appendix.